What is the basis for translating the serpent in Gen. 3 as a being of light? I've read two books that mentioned that the serpent in Genesis 3:1 which tempted Eve could have been rendered as a "shining one" or being of light rather than a serpent. Is there really a basis for this alternate view, or is it questionable scholarship? The Tim LaHaye Prophecy Study Bible has a note on this in the margin for Ezekiel 28:13-15, saying that the serpent signifies "a shining one." The Companion Bible has a 2-page appendix devoted to the serpent of Genesis 3. Seems to imlpy that it was not a literal serpent that spoke, but the character of the one who spoke and of whom Eve respected. It is because that serpent was the Devil, Lucifer, the son of the morning, aka the shining one. Satan is symbolized elsewhere by the image of a serpent (see Revelation 12:9; there are also references in non-biblical scriptures). Satan is extremely cunning, very wise in his craft, wise enough to know exactly how to tempt Eve and by extension Adam into eating the fruit. Before he was cast out, Lucifer was an angel of high standing in heaven, Hence the titles, "morning star, shining one". Daniel speaks about how the wise "shine". Now the Shining One was more clever than any animal of the field that the LORD God had made. It asked the woman, "Did God actually say, 'You are not to eat from any tree of the garden'?" The Hebrew word שְׂרָפִים śərāfîm / Latin seraphim means "burning ones", it is used to sometimes imply fiery serpents (likely because of the burning sensation their bite cause) (Num.21:4-9; Deut.8:15) and also to describe the angelic creations around God's throne (Isaiah 6:1-8). However, the Hebrew word נחש‎, nakhásh is used in Genesis 3 for serpent, so it is more literal in meaning. I'm not aware of any passage in Genesis that refers to a "shining one". I can see how the connection/ confusion to a "shining one" is made. But I do not think it is mainstream or well justified from the Bible to question that Eve talked to a literal serpent. Regardless, we know that the creature behind the mask is Satan. The original written Hebrew text of Genesis 3:1 would have been נחש (nhs). The Masoretic Text vowelizes this as נָחָשׁ (nā·ḥāš) - a word that is normally used to mean serpent, snake, or viper. There are four possible answers here, I think, as to how נחש could be construed to mean "shining one". None of them are terribly compelling, in my opinion. This answer has already been covered above. The ISV translators depart from the Masoretic Text in Genesis 3:1 and opt to vowelize נחש as נָחַשׁ (nā·ḥǎš) instead of נָחָשׁ ( nā·ḥāš), imputing a meaning of sorcery or divination to the text. But the connection between "shining" and divination and sorcery seems rather weak. I would say that to call the adversary a serpent is a correct rendering, as it is a symbolism shared by many early cultures. The ancient symbol of a serpent can be derived since before the Sumerians. To the Sumerians, the Serpent was a symbol of Knowledge, Creation, and Eternity. A symbol like that of Ouroboros is the symbol for representing Eternity, as the snake eating her own tail. It is a symbol for Alpha and Omega, that are one place expressed as two, a full circle, a never ending story. This symbol can be seen in Early Shumer, and the rest of the middle east, as well as Native america, also early Europe. The book of Bereishit chapter 3 verse 1 states, "וְהַנָּחָשׁ֙", as the first word. This word is Wah-Hah-Nachash, this means And(or Now) Behold(or The) Serpent, and goes on to state... Now the serpent was cunning, more than all the beasts... This Word Nachash is the letters, Nun-chayetz-shin, the ideograms for these are, Sprouting Seed-wall-Tooth, two interpretations would be as follows, "continuing flesh of teeth" or "growing flesh of fire", both of which would be a metaphor for a serpent or snake. The snake bight will grow a burning sensation on the flesh, and the snake is long or continuing flesh with Fangs. The serpent in the Tanakh or Old testament is referred to often as Serpent plainly, and also referred to as ancient serpent in Revelations 20:2, which in hebrew is: נחש עתיק, "Ha Nachash Awtic". He is often spoken of as result among social groups as "Serpent of Old" an old english variant. Furthermore, the Idea of the serpent in creation, again, is not exclusive to Yesraelai legend, and record, but is rather a continuation or reformation of the oral traditions and written legends of the "first" civilization. As Abraham left from Ur, Chaldea of the district of Babylon, when he was sixty years old, and entered Canaan with Lot his cousin and Sarai his wife in seventh year of the sixth week of the fourtieth Yehubilai(Jubilee), information derived from the Book of Jubilee, Chapter 12 verse 9, chapter 13 verse 16. To the Sumerians Tiamat was a void of water, that is the clay planet, or earth, and co-created with Absu the sun to make all the planets of the Solar system, and this planet Tiamat became very angry with her children and began war with them, it was Nibiru who came to the rescue of the planets. It was Tiamat the red sea serpent with her 11 moons, the brood of dragon children who warred against Nibiru and it's eleven moons in the ancient Sumerian creation Epic. Tiamat was severed in half by Nibiru, and half became the hammered bracelet (the asteroid belt), half became the current earth. This information is from a much older tablet, but a similar creation story and the primary tablet for reading about tiamat is the Enuma Elish of Babylon. Though this version of the creation Epic was created in the 18th century BC, during the reign of Hammurabi, the sixth king of the first Babylonian dynasty, as he wanted to elect Marduk as the "national" supreme god, and to do so he was willing to change the plot of the creation legend. He attributed that the main hero was Marduk, which gave him the authority to replace the God Enlil's Cults with the God Marduk's Cults. It is known that Anu king and father of the gods is supreme over Marduk in a former pantheon. IT is also known that after Hammarabi that Shamshi Adad V would have recited the story of the creation epic, in which Marduk's son Ba'al would be raised up to slay the serpent Tiamat. I refocus on topic, Tiamat is accepted as a sea serpent, the clay or sea void we call primordial earth. She would be a "red" dragon, as that is the primary color of the world's clay.This character is a pre-earth evil, the earth's past The term Tiamat comes from the Akkadian cuneiform root word Tamtum, and later Tia'amtum. In The book of Revelations, of the new testament, the term Red Dragon in hebrew would have likely been, "תנין אדום של תהום", interpreted as "Red sea serpent of the abyss"; as Tehom is a hebrew word for Abyss or the Deep, and has it's early origins from the cuneiform Tamtum. Tannin is from the root Tan, for jackle, a ferocious little dog, and Tannin means Sea serpent, and sometimes this word is interpreted as just serpent, and thus the English from Greek translated Dragon. Tannin is a symbol of a serpent of chaos and Evil among many tribes in the land of Canaan, from Phoenicia to Israel. To the Israelites a serpent going back to their pre-Israeli culture was one of two things, a possitive or a negative. As Sumer brought about the knowledge of the gods and the primordial earth. So Israel saw Elohim, or "many mighty"; "many deities" as a possitive form of serpent, the flying or fiery serpents. The term Seraphym means Fiery serpent, and these messengers(Mal'awk) or angels were wise, and loving, serving the divine master YHWH. Whereas the shadow of earth, the evil is considered a red sea serpent from the deep, that is of chaos and foolishness. The ancient Hebrew letter Ghayin, the twisted rope, as well as Teth the clay vessel both have ideograms relating to clay, and twisting. Ghayin however takes on a negative connotation mostly, having the meanings of To twist, bad, wicked, etc... This was a symbol like a twisting serpent, again another clue to the early legends of Tiamat. Tiamat interestingly is also associated with Eve the first woman. In Sumerian Enki created Ninti, Ti is the root for life, some say her name is Tiamat also. Her daughter resembles the biblical Eve, because she birthed Titi, bringer of life, and the Hebrew equivalent is "Hawa" meaning breathe; to breath. THis is the classical name for Eve. I have a few last helpful translations for you, whether you know them or not. Here goes: Satan simply means Adversary; Devil simply means Divided tongue, or lier; and Demon comes from Greek Demonion, De-: seperate/divided + -mon: one + -ion: in action of. The word Demonion would interpret as Dividing one, but modern Demon simply means seperate one, or divided one. God is a replacement word for El, Eloh, ELohay, Elohym. Lord is a replacement word for Adonai, meaning My master. LORD is a replacement word for YHWH. Hosts is the word tzavaot meaning armies. Not the answer you're looking for? 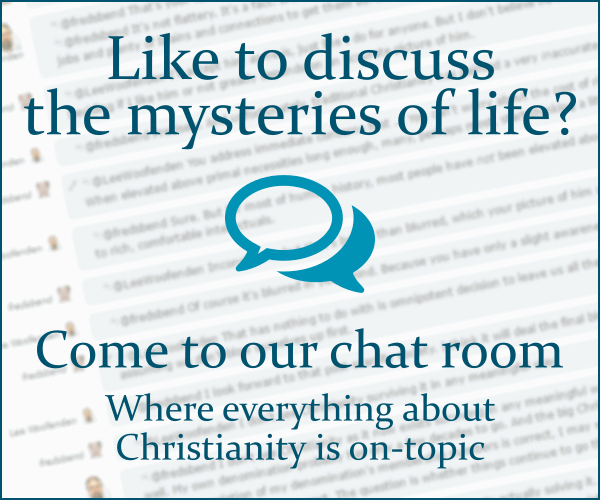 Browse other questions tagged genesis bible-translation serpent or ask your own question. What is the difference between being blessed and being happy? What was Jerome's defense for translating the Hebrew word קִיקָיוֹן (kikayon) in Jonah 4:6, etc. into Latin as hedera? What is the reason for differences for Genesis 3:9 among Bible translations? Why is the “serpent” in the Fall believed to be literal by many?